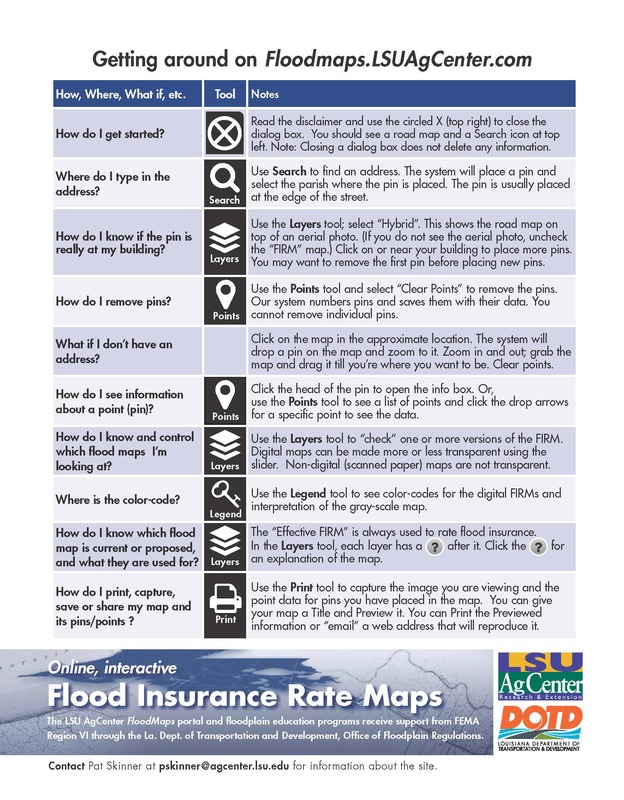 FloodMaps summary of features and step-by-step guide. 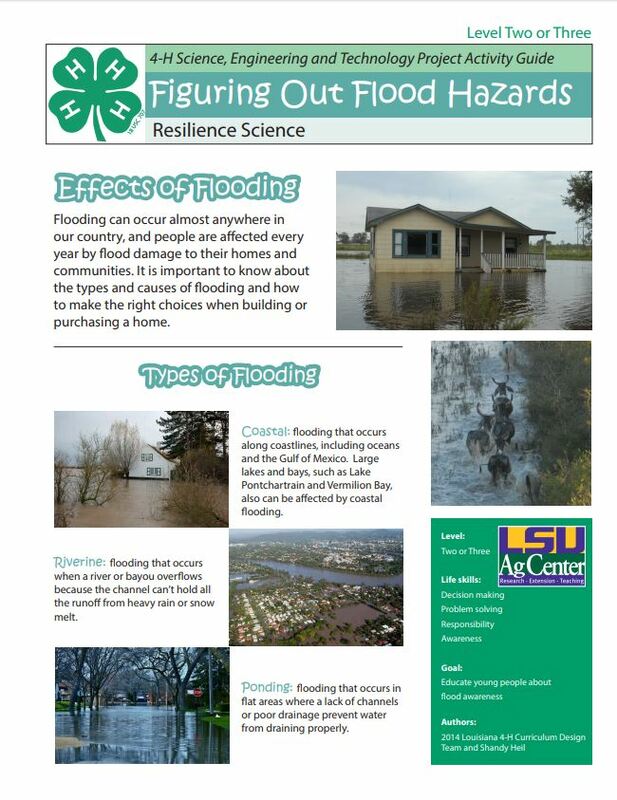 Designed for legal paper; works on standard letter size. 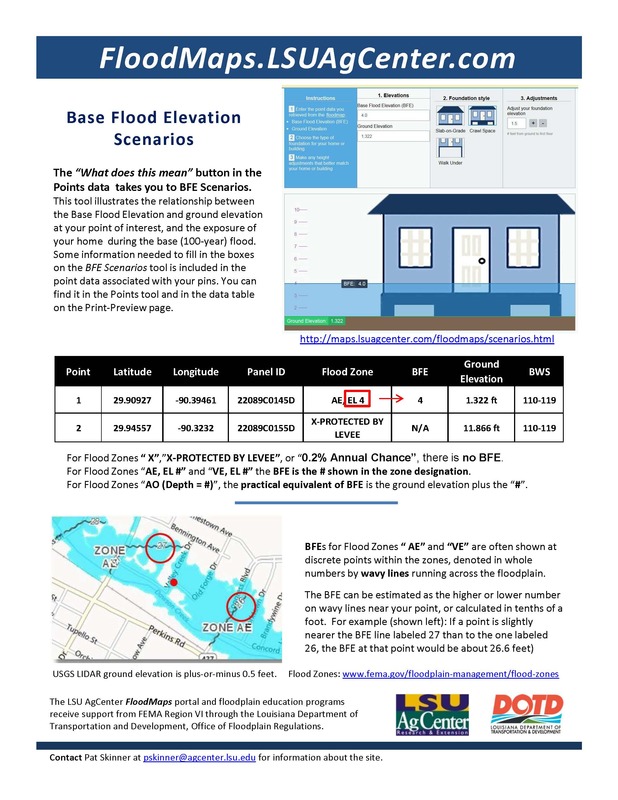 Using Base Flood Elevation (BFE), Ground Elevation and foundation style to "see" the 100-year flood at your house. 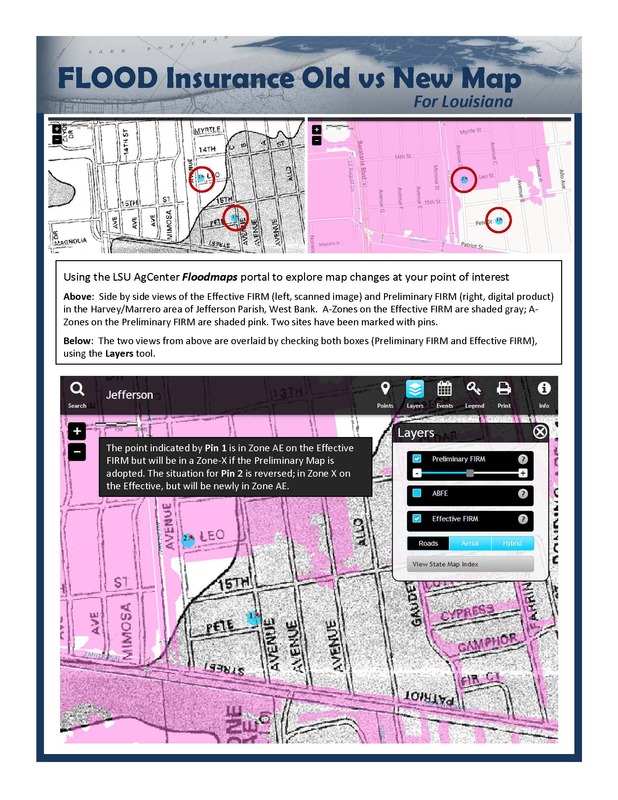 Layering map versions to see where properties are changing flood zones. 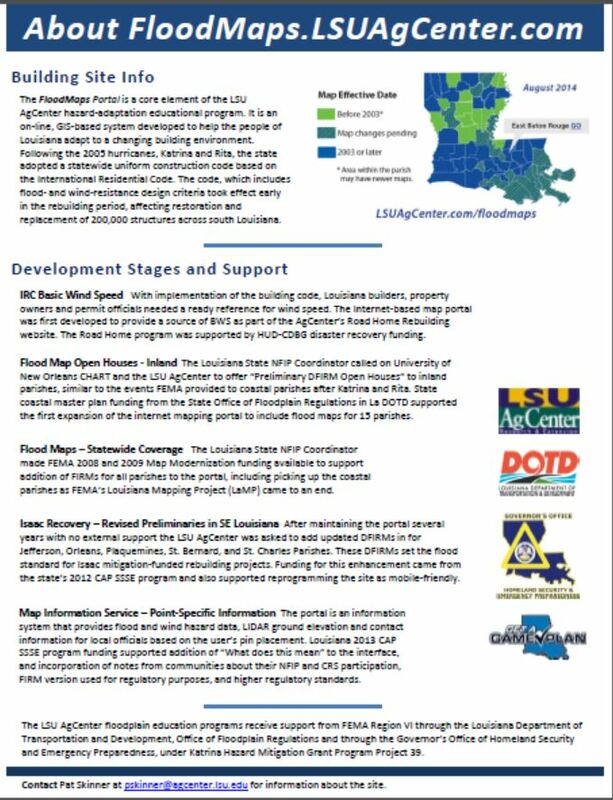 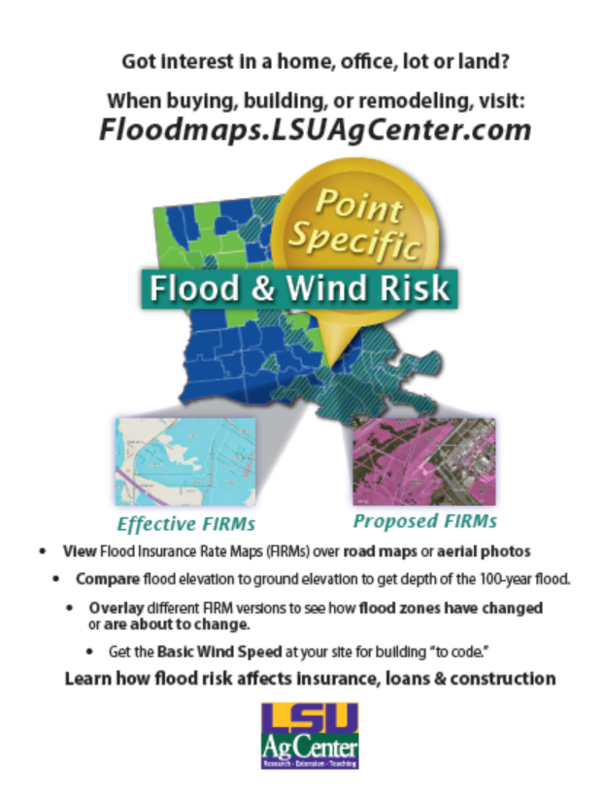 Using LSU AgCenter Interactive Maps and other tools to evaluate risk in flooding events. 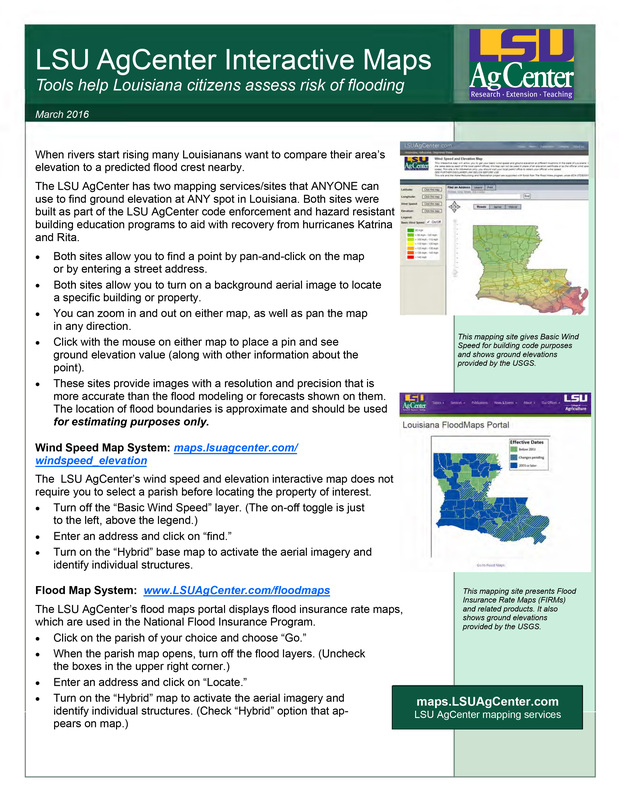 About the FloodMaps portal development and support.